Passover is the festival of freedom, and the soldiers of the IDF ensure that Israelis can celebrate theirs safely. However, a high percentage of those soldiers come from impoverished backgrounds and their families have trouble making ends meet. The Passsover seder turns from a celebration of freedom into a cause of stress and worry as the soldiers’ parents do not know how they will be able to purchase even the basic necessities of Passover. Many young men and women in the IDF are considered “lone soldiers” because they immigrated to Israel alone, or are orphans, or otherwise receive no financial support from their families. For them, making Passover preparations is especially difficult. Every year, Yashar LaChayal packages food for hundreds of such soldiers ahead of Passover. The packages contain both basic foodstuffs that the families need throughout the holiday, as well as special additions for the Seder such as grape juice and matza. However, we cannot do this alone. 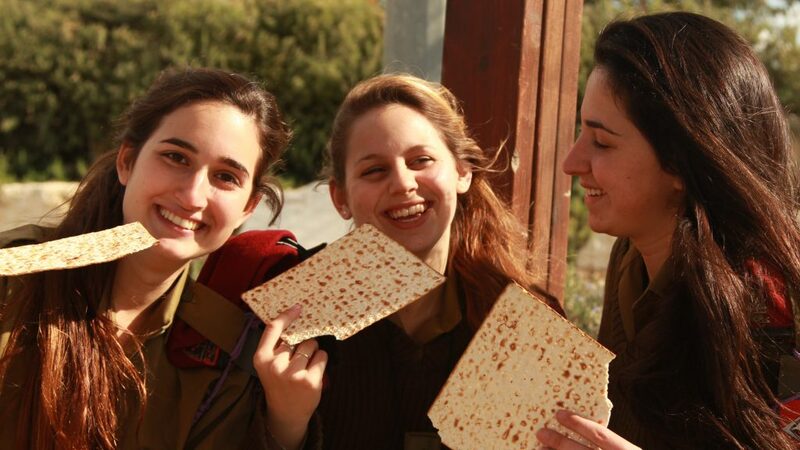 We need your help to ensure that as many soldiers as possible can celebrate Passover in comfort and dignity! A $30 donation will provide a soldier with a holiday food package. Please help us reach as many soldiers as possible. As it says in the ancient text of the Haggadah, “All who are hungry, come and eat.” The soldiers of Israel are always there for us. This Passover, let’s be there for them! Donate today, and show your appreciation for Israel’s soldiers! $30 buys a Passover food package for an IDF soldier. 100% of the donation will go toward our Passover campaign. © 2019 All rights reserved. Yashar LaChayal.